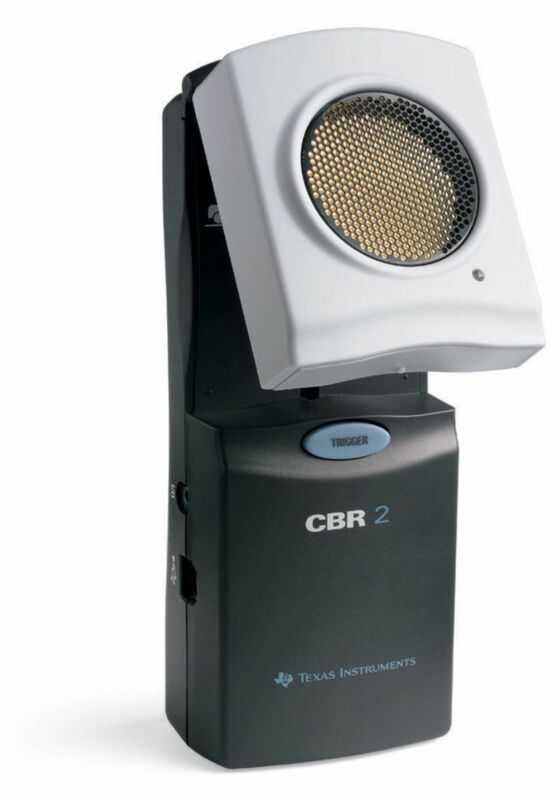 Measure distance, velocity and acceleration on up to 200 samples per second and distances between 15 cm and 6 m.
The CBR2 is compatible with the TI-83 Plus and TI-84 Plus families of graphing calculators, as well as the TI-73 Explorer and the TI-Nspire handheld, using a direct USB or I/O cable connection. It also works with the TI-89T and Voyage 200. Measure distance, velocity and acceleration on up to 200 samples per second and distances between 15 cm and 6 m. Pivoting head provides versatility and convenience. 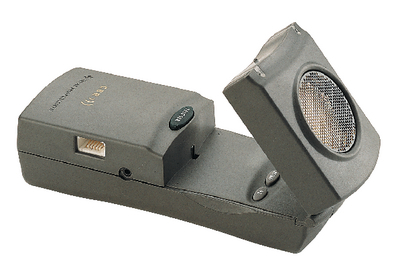 This ultrasonic motion sensor is ready for your calculator without the need for the CBL system. Provides a direct cable connection to the same calculators compatible with the CBL. CBR measures motion from 0.5 to 6 meters distance. Includes ranger, cable, table clamp, manual with five experiments and four AA batteries. Purchase includes sample activities for science and math.